베로나, 이탈리아의 B&B 포에버 | 호스텔월드에서 예약하세요. 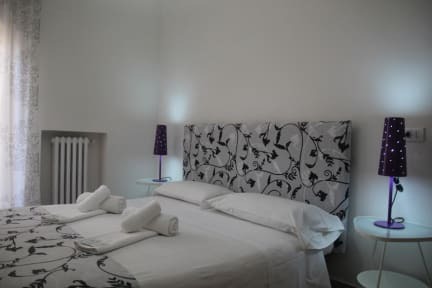 B&B Forever offers classic accommodation in the heart Verona. Offers comfortable privates rooms. The air-conditioned rooms include free Wi-Fi and a flat-screen TV. A shared bathroom with hairdryer is available. 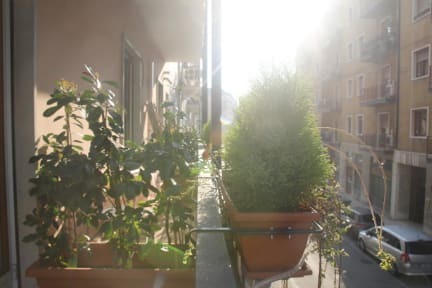 Forever B&B is 1.3 km from Piazza delle Erbe and Juliet’s Home and only 1 km from Verona Porta Nuova Train Station. The B&B has 3 rooms of which 1 triple room with shared bathroom and 2 double/twin bed rooms with shared bathroom. All rooms have air conditioning, TV, and WIFI. A free relax zone is also available where you can drink water, coffee, or tea. The 2 double/twin bed rooms have wide balconies with chairs and beach umbrellas. Check in from 11:30 to 14:30 and from 17:15 to 19:30.